When we travel, it is not so much the sites and landmarks that get us excited, but rather the food. People are always saying to us, “You were in this city for so long… how come you didn’t go do this, this, or that?” And we would answer, “This is just how we like to travel. We like to eat.” As long as we hit up all the local food specialties and had a few good meals, we never feel like we missed out on anything. Food has become the biggest part of our travels, and yet, it’s the most under-represented aspect on this blog. We’ll skip over popular attractions, but we’ll go through great lengths to track down that locals’ favorite hole-in-the-wall or that always crowded restaurant. And yet, the majority of our dining experiences have gone mostly unmentioned. And I know I have a wealth of information and opinions to share. So lately, I’ve been wondering: how can I fix this? so much food to talk about! On this blog, I write generally longer, well thought-out posts, and I try to find a balance between being personal, fun, and informative. I’ve felt like that shorter specific restaurant reviews don’t really have a place on Slightly Astray. And I also worry that if I were to write about food more, this blog will get too clogged up with food posts and the travel and personal posts will take a backseat. 1. Start a new blog – I can create a new blog and dedicate it entirely to shorter-length food related posts (dining experiences, restaurant reviews, recipes, etc.). This way, I can keep Slightly Astray as a place for personal reflection and travel stories. And those who don’t want to read about restaurants/food won’t have to. I kinda like the idea of a having a clean slate (and I rather like the name Slightly Chubby). The downside though, is that I would have to start over and build up the domain authority again. The upside is that this would be a nicely niched blog; no confusion as to what it’s supposed to be about. 2. Just publish more food posts on SA – Of course, I could just write the food posts I want to write (I know some you love them) and continue to publish them on SA. The upside is that I would get to keep my current domain authority and build on that. This blog may even grow faster with more frequent postings and all the new content I’ll be dumping in. But I’m worried that in this case, SA would turn into a mostly food blog and the posts will no longer have the personal feel or high quality of writing that my readers have come to expect. Also, the blog may get messy with too many topics. I would really appreciate it if you could take a minute to tell me in the comments what you’d prefer! You guys are the best part of this blog and I’d love your thoughts! Should I go in the direction of transitioning SA into a more food-centric blog? Would you want to see more food posts here? Or should I give them a new home? I wish there was a way I can have a “food” section and just post all food posts under that section, without them clogging up the homepage. I’ll look into if I can do that somehow. I agree that 2 blogs may be too much (I’m stressed enough already with just one!). Thanks so much for the feedback, Jen! I really appreciate it! Haha, I like Slightly Chubby, but managing two blogs sounds like a pain! How about a weekly/biweekly/whatever food day? That’s how I’m trying to manage my sponsorship interviews and WordPress posts – if I do them at all that week, it’s only on Sat/Wed. I used to have a Foodie Friday for all the food-related posts but then I found that I hated sticking to a schedule, haha. Maybe I’ll try that again and just make myself stick to it. Like, I’ll post on weekends to talk about the best food I had that week, or something. Now that’s an idea! Awwww you’re too sweet, Erika! Thanks so much for the feedback! I’m definitely leaning towards just incorporating more food into this blog now. I just have to be careful not to turn it into a food blog! I’d hate for the personal side to disappear! I think food fits well in this blog, it is an important part of travel and it is interesting to show that there are different ways of traveling. Yours is discovering new food, and that is what it makes it more personal. I agree with Jen that creating a specific section/category for food would be a good idea. I used to have a food blog and a personal blog, and decided to mesh them when I moved abroad. food kindof disappeared for me due to allergies, but I think if you are passionate about it you should share it. I agree with both Erika and Kelly below- maybe designate a specific day for food posts and if someone doesn’t want to read they can skip. plus you’ve eaten some really interesting stuff I’m sure! I’m always curious what the food will be like when I visit somewhere new. Yeah! We eat some really interesting stuff and we usually seek out the locally famous places in each city, so I’d love to share all that! I just don’t want this blog to become one restaurant review after another. I worry that it’d become boring to people and stop being personal. I used to do food on only Fridays, but I hated sticking to a schedule. Maybe I’ll try to start doing food on weekends and see how that works out! Well, I think you have your answer! I agree with the lovely ladies below. Combine, conquer and divide, open up a new pantry on this blog and see where it goes. Food is a HUGE part of travel, culture and being on the road. Sometimes I get annoyed with niche blogging, maybe bored is the better word. I like learning about the person behind the blog, I like behind the scenes stuff, I like variety. Niche is all smart and stuff, but broader topics, keep me engaged and interested. Bon appetite! Also, whoever dislikes reading about food on travel blogs clearly has issues and we need to help with setting him/her straight instead! And, you set this blog up as a travel blog but I think there were some instances where you lament that you are not writing specific travel pieces as much as you like. If you set up another food blog then I’m pretty sure you will end up lamenting not writing more about food over there as well. And you are right in that you already have some authority going for this blog, so it is easier to keep expanding on this one. If you have long foodie post then you can post them here. If you want to write short food description then there is always Instagram and your Facebook page (which will also help pull more new readers to come here). Both Franca and I had this same dilemma when we decided to start bringing our veganism into the blog and we were unsure how things would work out. In the end, our vegan posts do better than we could have every imagined and we regularly have non-vegan parts of our community having the most to say in the comments to each vegan post. Eating is such an integral part of travelling. It would be a shame to leave that out. I’m glad I’m not the only one who overthinks this! I’m glad your vegan posts are doing so well, and I think you guys beautifully transitioned your blog to a vegan travel blog. :) It’s so true that eating is such a huge part, and I don’t want to keep on leaving it out anymore! I vote add more food posts to slightly astray, I always love seeing pictures of food and learning about places to eat when traveling. Thanks Caroline for your thoughts! Two blogs probably would be too much work (one is a lot of work already!). I just wasn’t sure if anyone would care about reading about restaurants, but I’m glad the response has been good! For me, I’d totally be up for seeing more food posts on here. I reckon if you wrote reviews on the food and the places, they’d probably be the only ones I’d read, since I love your writing. Your blog, your rules, is my input :) But I come from the input of not making money or a career, so my advice is probably stupid if you want to do that. I like that your blog is a bit of everything! Keeps the reader from being bored. :) And that’s my worry – that SA would turn into a food blog, since food is what I have the most to write about! But I’ll just try hard not to overwhelm this blog with too many food posts. And yep, I’m also in the same boat of not making money or a blogging career, lol. You’re so sweet, Amanda :) Thanks for reading no matter what, I really appreciate it! I feel like writing about food & restaurants can be really impersonal, and I know a lot of people read for the personal side. I’ll just be careful to let that side disappear! I personally liked your post about trying to find the best beef noodle soup in Taipei. Next time I go to Taipei I am definitely searching out that cheaper noodle place. I tried to write more about food by doing a “food photo Friday” but I eventually abandoned it because it felt disjointed. 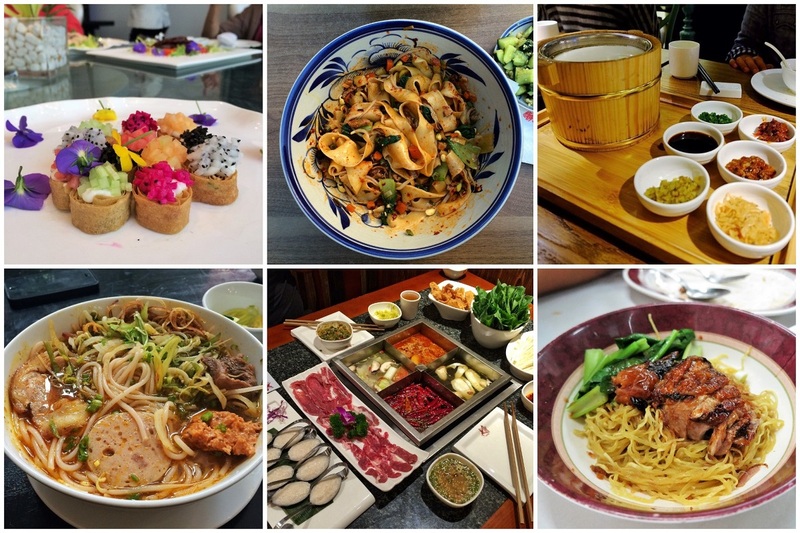 Now I just write about food within my other posts, or I write about funny food experiences like trying stinky tofu for the first time, or I did a post on all the weirdest foods I’ve eaten abroad. I used to do a Foodie Friday too, but then found that I hated sticking to a schedule! So I just wrote about food whenever I wanted too. I think I’ll probably go back to writing about food on weekends. I hope you do look for that beef noodle place in Taipei when you go back! I can’t wait to go back and search for other locally famous ones too. And stinky tofu – so good! Thanks so much for your thoughts, Terri! I’ve refrained from doing too much restaurant reviews here because I felt like they don’t fit, but I want to start documenting meals I want to remember! Oh I wish I could be one of those bloggers who post everyday! I don’t know how they do it. I’m so behind on blogging but I feel like if I did post more often, the quality of posts would most definitely go down… And I’m not willing to compromise on that! I think it’s true that keeping 2 blogs would be too much work. If I did have a separate food blog, it wouldn’t be the same quality as SA. I wish you had more time for HtL because you’re doing sug a good job with it! Every post is so well written and informative! Aw thanks so much Anna! I LOVE your posts — I scroll through my feedly to those first :) Can’t wait to discover more of China through your writing and photos, this part of your journey has been so fascinating to learn about! Keep the one blog and keep posting whatever it is you want to post about! Travels, personal stories, food… I will keep reading! I personally think it’s fascinating learning about food in Asia (and everywhere else you’re going to travel) because food is such a big part of life and it’s always so unique based on the location. Thanks so much Mere! I really appreciate it! I agree that food is such a huge part of travel and I really want to start documenting our food adventures more. But I can barely even keep up! I’m always happy to have your opinion Kiara! :D And thanks so much!! That means a lot to me :). I’ll try my best to write more about food, though I do worry the quality of posts will go down :/. I’m already so behind! I’m actually really impressed at how well you remember the details! If it’s been past a couple of months for me, then I can’t remember anymore so I just don’t write about it! This is late (too much traveling lately!) and you’ve already made your decisions, but I vote: moar food! :D I really like your food posts so I’m happy you decided to go that way. Though, I really like the name Slightly Chubby. Maybe get the domain and keep it around for future projects? Thanks so taking the time to give me your opinion, Adelina! Hehe I like Slightly Chubby too, and I am toying with the idea of just getting it and maybe still do some kind of short food guides on there (just as a resources blog, maybe), but that still seems like it may be too much work!